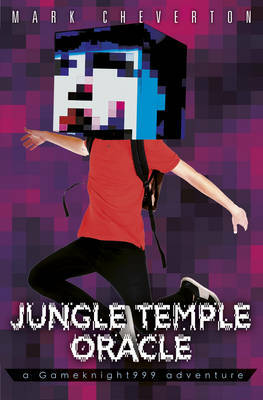 An ancient jungle temple holds the secrets to stopping the evil Herobrine! Gameknight999's true enemy has finally surfaced: Herobrine, an artificially intelligent virus that wants to escape Minecraft and destroy mankind with their own creation - the Internet. If he is able to escape the game and get online, Herobrine will infect millions of computer systems and turn machines and weapons on their masters, threatening all of humanity. Gameknight realizes he's going to need help to defeat this seemingly invincible enemy. His NPC friends tell him of the ancient Oracle residing in the oldest jungle temple in Minecraft who knows the secret to defeating this terrible threat. The path to the temple is fraught with danger, and Gameknight must enlist the help of his friends on his quest, but will they reach the Oracle in time to stop Herobrine? Gameknight999 will be tested to his limits, and perhaps beyond, in this spine-tingling new adventure.